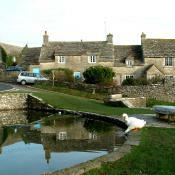 Worth Matravers is a picturesque collection of limestone cottages and farmhouses centred around a village green complete with duckpond. 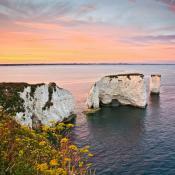 The village, situated just west of Swanage, is close to the dramatic limestone cliffs that form part of the South West Coast Path and the UNESCO Jurassic Coast. 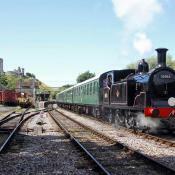 Within easy walking distance are the rocky, unspoilt beaches of Winspit, Seacombe and Chapman's Pool, all suitable for bathing, as well as the most southerly tip of the Isle of Purbeck, St Aldhelm's Head. 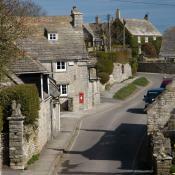 Though small, Worth Matravers has a strong sense of community and still retains a post office, a village shop, a craft centre and a pub. To the north, the village's agricultural heritage is clearly visible in the shape of Medieval terraces that were cut out of the steep, chalk Purbeck hills in order that the land could be cultivated more easily. 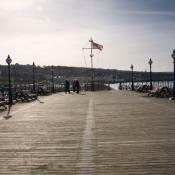 To the south, meanwhile, is evidence of the other two industries that have sustained the village throughout its long history – fishing and quarrying. Any new houses in Worth Matravers must be built using local stone, which has meant that two quarries still survive, at Swanworth (due to close in 2010) and at St Aldhelm's Head. 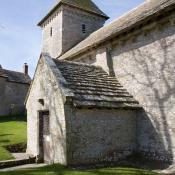 St Aldhelm was a 7th century Anglo-Saxon monk who reluctantly became the first Bishop of Sherborne when the diocese of Wessex was divided into two parts. 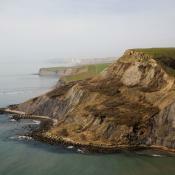 On the headland to which he gave his name, an old coastguard lookout, now manned by volunteers from the National Coastwatch Institution, watches over a defunct quarry cut out of the cliffs while a newer, working quarry owned by Hayson and sons, a local quarrying family, sits a quarter of a mile inland. 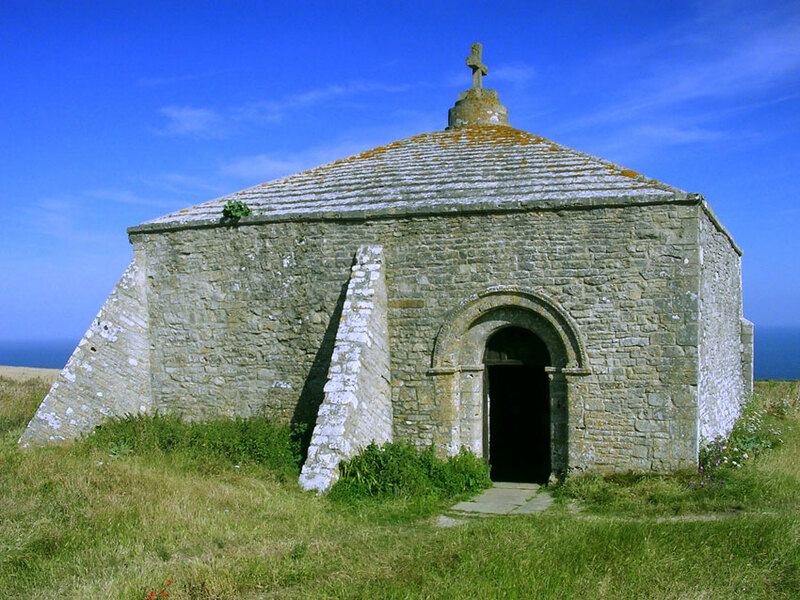 The headland, sometimes called St Alban's Head, is also home to a Norman Chapel and a radar monument. 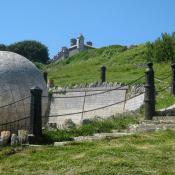 The monument, designed by local Worth resident, Tony Viney, was unveiled in 2001 to commemorate the development of radar technology carried out by the Telecommunications Research Establishment based at RAF Worth Matravers during the Second World War. 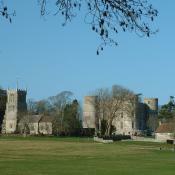 The technology proved crucial to the Allied victory and the striking stainless steel monument, resting on a plinth made of Purbeck stone, represents two radar dishes arranged to form a large fire basket, intended to reflect both ancient and modern ways of warning about military invasion – fires were lit to warn of the Spanish Armada, while more recently it has been the job of radar technology to warn of impending invasion. 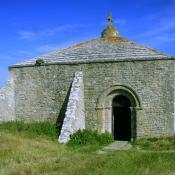 A good circular walk takes you from Worth Matravers to Winspit to Seacombe and back to Worth Matravers. 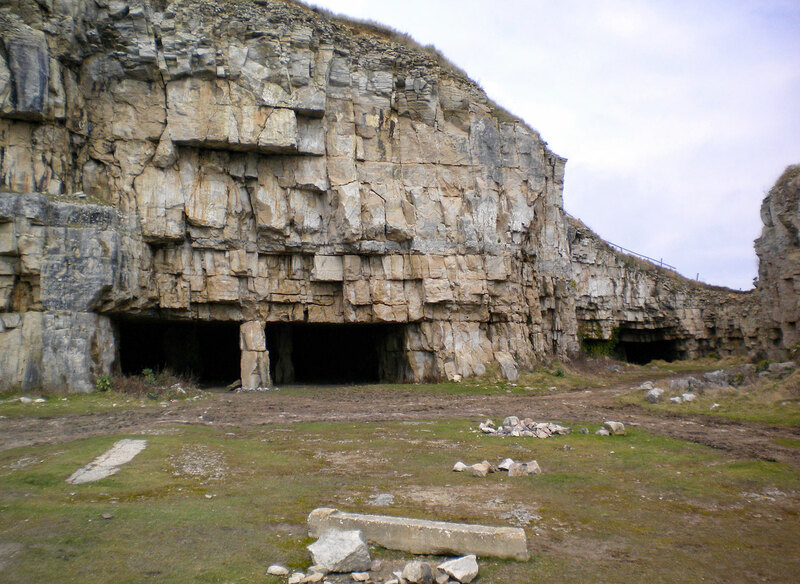 Winspit is home to another defunct cliff top quarry, used by the navy and air force as a base during World War II. After the war the quarry became a lesser-known tourist attraction and were used as part of the set during the filming of Dr Who. Although some of the caves have lately been closed for safety purposes the quarry is still popular for summer picnics and there is an adjacent beach suitable for swimming. 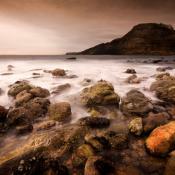 Seacombe, another rocky beach, was the site of a horrific and well-documented 18th century wreck. The Halsewell, bound for India, was caught in a winter channel storm not long after leaving harbour and driven onto the rocks in the early hours of the morning. 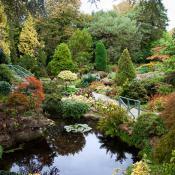 Over one hundred people drowned, including the captain and his two daughters. About one hundred and thirty men managed to scramble onto a ledge in the cliff, but only seventy managed to hold on until they could be rescued at dawn. Two of the survivors, Henry Meriton and John Rogers, quickly published an account of the disaster, which was widely reported. The shipwreck was also the subject of 18th century artist Thomas Stothard's 'The wreck of the Halsewell, Indiaman'. One of the jewels in the crown of Worth Matravers is the nearby Chapman's Pool, an idyllic and hard-to-access cove empty of everything save for a few fishermen's huts and an extraordinary amount of fossils. 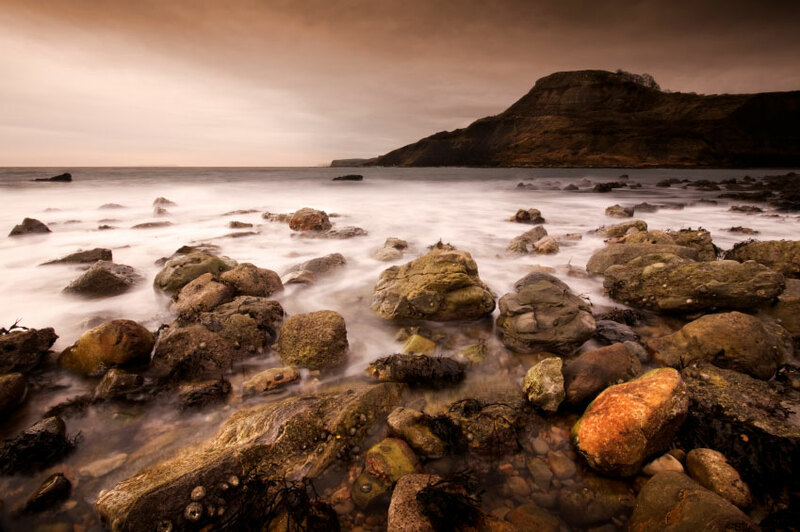 Rocks that form the cove consist of the upper layers of Kimmeridge clay, which is rich in fossils, and indeed there are more reptile remains here than at any other Kimmeridge clay location in the UK. The flat ammonite, Pavlovia Rotunda, is especially common. Notoriously difficult and potentially dangerous to access, a new path down to the cove was started in 2008, although it is still necessary to take very good care with tides and potential rock falls when fossil hunting, or indeed bathing and sunbathing. 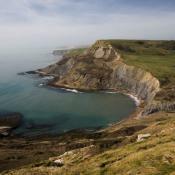 There is a car park between the cove and Worth Matravers or, alternatively, the stretch of coast path between Lulworth Cove and Chapman's Pool presents one of the most beautiful and unspoilt of the whole trail and is highly recommended. 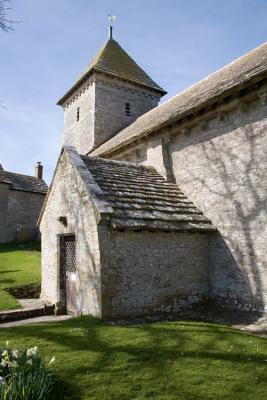 Back in Worth Matravers itself, the Norman Church of St Nicholas, one of the oldest in the county, is home to the grave of local man, Benjamin Jesty, thought to have pioneered the smallpox vaccination in an attempt to protect his family from the disease (even though Dr Edward Jenner got the credit for it twenty five years later). 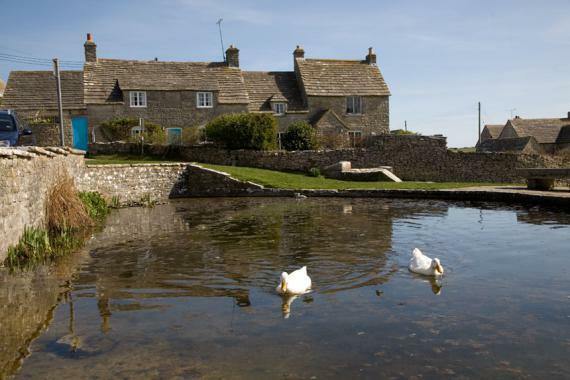 The Square and Compass Pub, which has been in the same family for a hundred years, holds an annual week-long stone carving festival and houses a small museum exhibiting fossils and other locally-found artefacts.